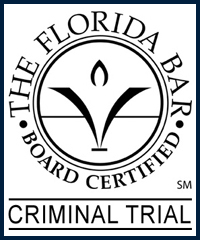 Lakeland Battery Crime Defense Attorney - Lawyer, Providing Professional Battery Criminal Defense Attorney legal services for Lakeland, Winter Haven, Bartow, Polk County, and the surrounding Central Florida area. Call 863.660.2185 to Speak with Lakeland Battery Criminal Defense Attorney / Lawyer, Joshua E. Schoen. Because Battery charges are crimes against the public and their safety, battery charges are prosecuted in a more aggressive manner than other misdemeanor crime charges. Protect your rights by seeking the legal advice and representation of an experienced Lakeland Battery Criminal Defense Attorney / Lawyer. Contact Lakeland Battery Criminal Defense Attorney / Lawyer Joshua E. Schoen at 863.660.2185 in the Lakeland, Winter Haven, Bartow, Polk County, and the surrounding Central Florida area.